Hollywood stars really went bonkers so bad that they did the only thing they know how to do well – take to social media. On Friday this group of losers laid out puns and terrified screeds in response to President Donald Trump’s first in-person meeting with Russian Vladimir Putin at the G20 Summit in Hamburg, Germany. Actor-director Rob Reiner declared that Russia has “invaded” America, while comedian Michael Ian Black got stupid by asking himself if President Trump had been performing a sexual act on Putin during their reported two-and-a-half hour-long meeting. Russia has invaded US & continues to try to undermine our democracy. DT refuses to protect us. Don't let a weak ignorant liar sell us out. There was plenty more where these came from and I suppose I could post them all down for everyone to see…but perpetuate the insanity of the left? We all know they have discredited themselves when it comes to levelheaded thinking. They just don’t have the moral fortitude to seek after the truth – if it goes against the whatever compass they happen to be following now – which just might be radicalism at all costs. 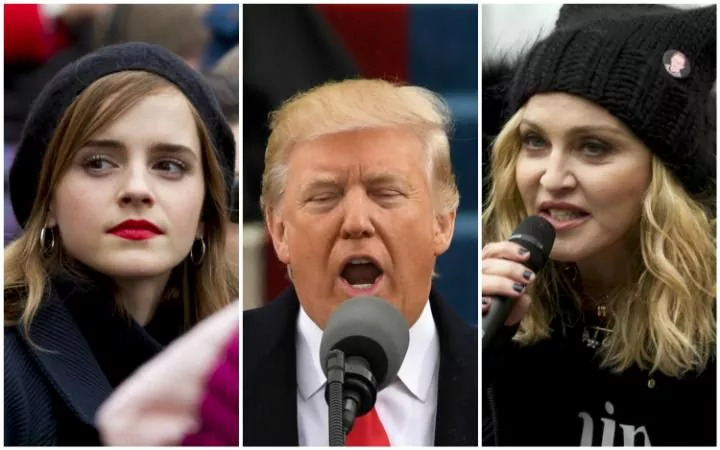 When is the media and celebrities going to get that they are just hurting themselves when they try to dig at Donald Trump with dishonest criticisms? Believe me. There is nothing that will stop them from playing party politics and avoiding the truth of facts. They are digging their own graves and I say let them. So far, for the year of 2017, they all have contributed nothing positive or uplifting. No plan of solidarity in anything other than to attack and take down President Trump no matter what.